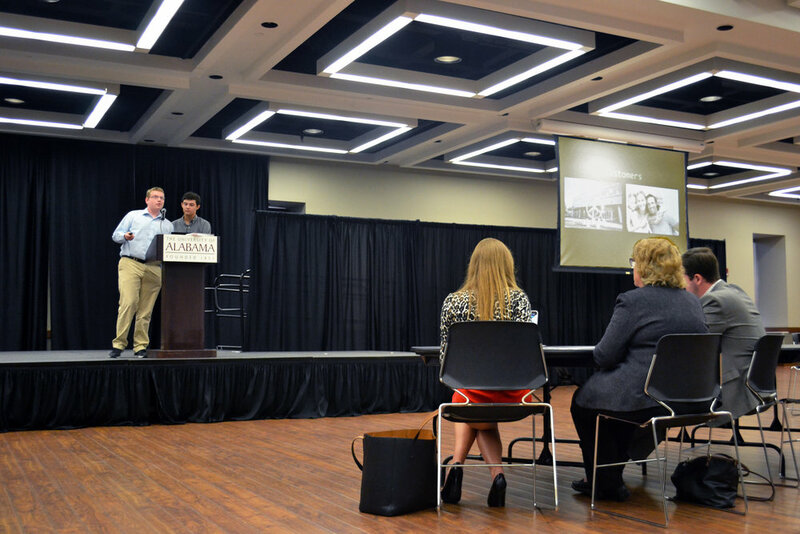 On April 23, 2017, in the Ferguson Ballroom on the University of Alabama's campus, the first annual Forza Financial High School Business Plan Competition was held. 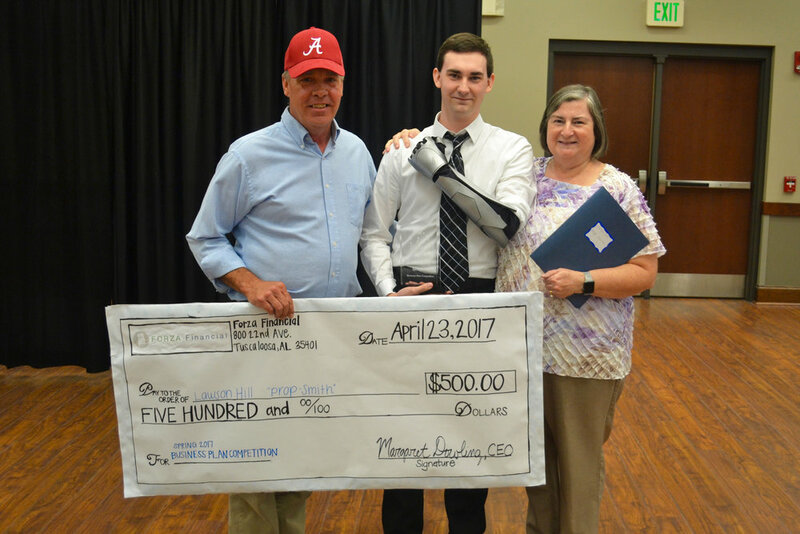 Lawson Hill (Prop-Smith Cosplay) took home the $500 grand prize in the first annual Forza Financial High School Business Plan Competition. Thirty-one students from Paul W. Bryant High School and The Capitol School registered for the competition to form a total of 11 teams. 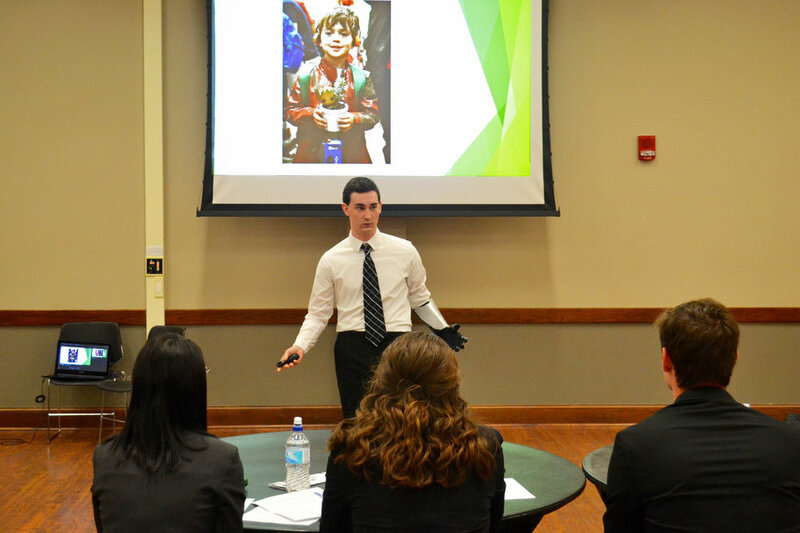 Each group wrote a business plan for a hypothetical or pre-existing company of their creation, which were graded by several employees in advance based on parameters designed by the Strategy Department. 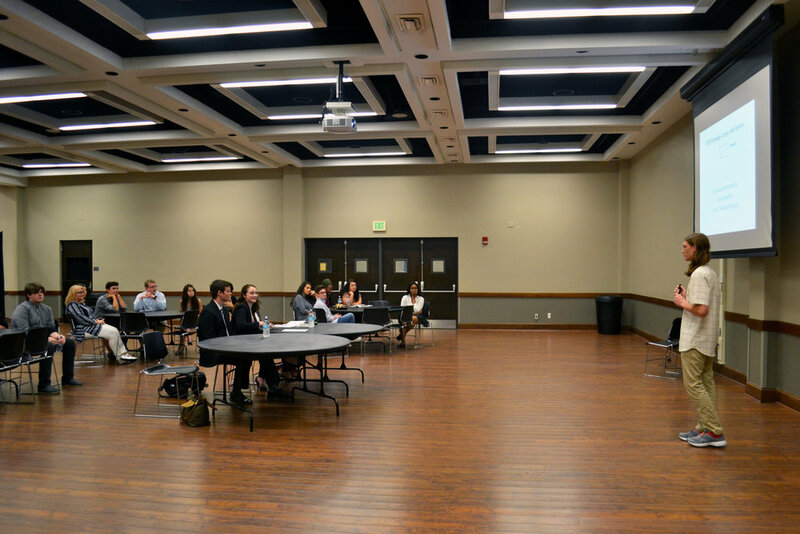 Participants then pitched their ideas in person on the competition date, which were graded by a panel of judges. The judges consisted of two professionals, Ms. Tommie Syx and Dr. Ying Qin, and several Forza employees including CSO Rick Lewis. Final scores were calculated by averaging each team's plan and pitch scores together. Madison Horton (Xceptional Creationz) shows off her homemade cosmetics to the judges. Lawson Hill of The Capitol School took home the $500 grand prize. Hill’s company, Prop-Smith Cosplay, designs and creates custom costumes for comic conventions and similar events. Lawson started making his own costumes when he was in elementary school and recently turned his hobby into a profitable custom costume creation service. 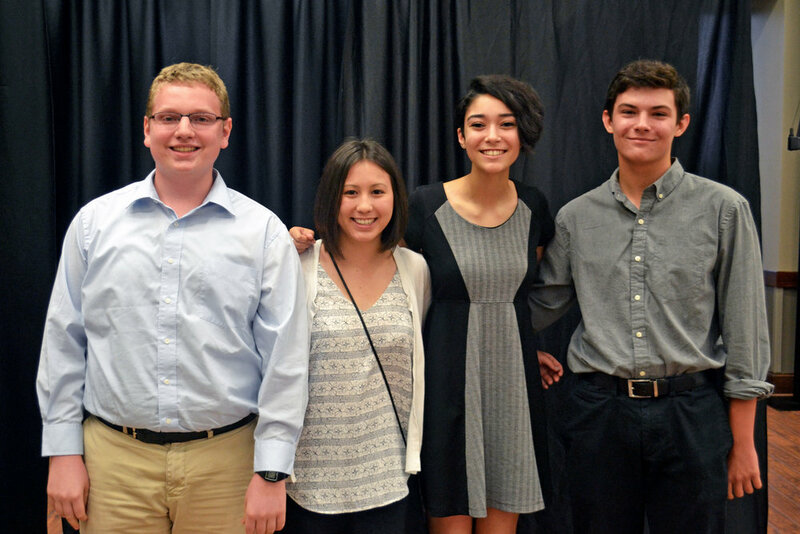 Bee Box, a hypothetical company designed to sell portable beehives, won second place. 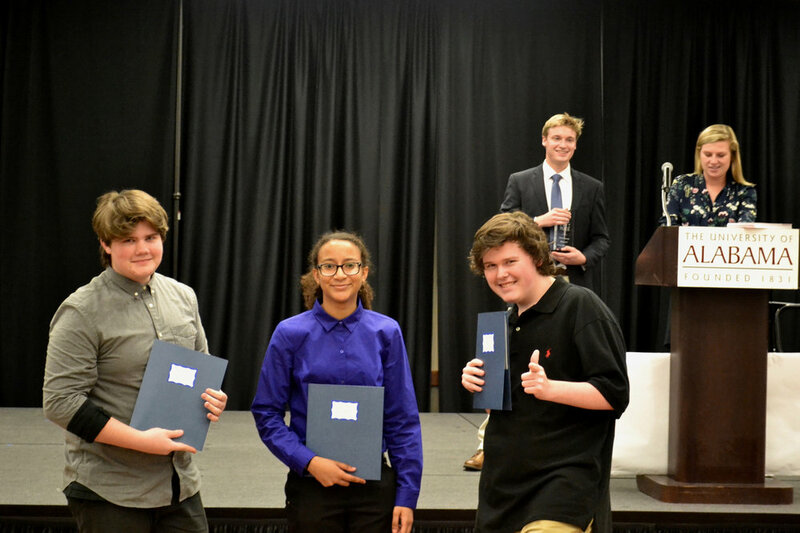 With great energy and charisma, Tristion Gilmore, Griffin Fishel, and Maya Sample of The Capitol School explained how Bee Box would allow even amateurs to harvest their own fresh honey while helping the ecosystem at the same time. 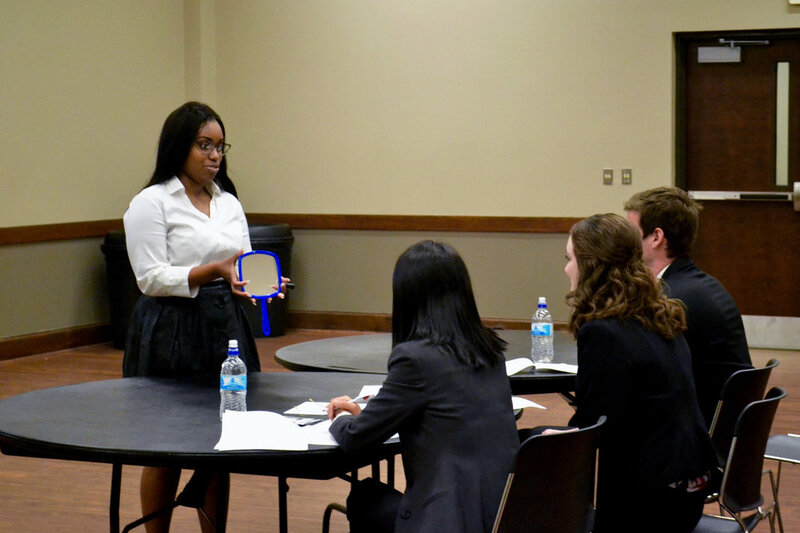 Madison Horton of Paul W. Bryant High School took home third place with Xceptional Creationz, a company she created around an already existing hobby of selling homemade cosmetics. Madison showed two of her products to the judges: her rosewater spray and one of several lip glosses. Thank you! You will receive our next newsletter.